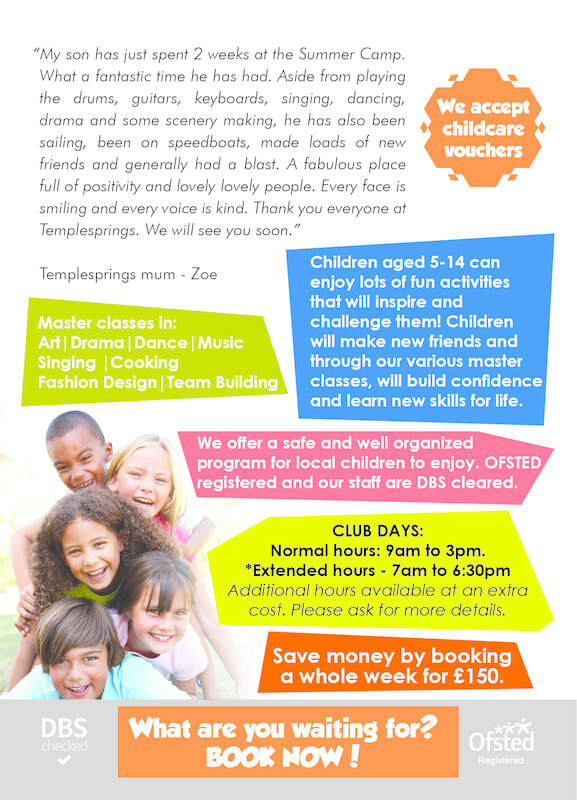 This summer Templesprings welcomes children aged from 7 to 14 years to take part in a week long musical adventure that will inspire, challenge, thrill and delight its young participants. 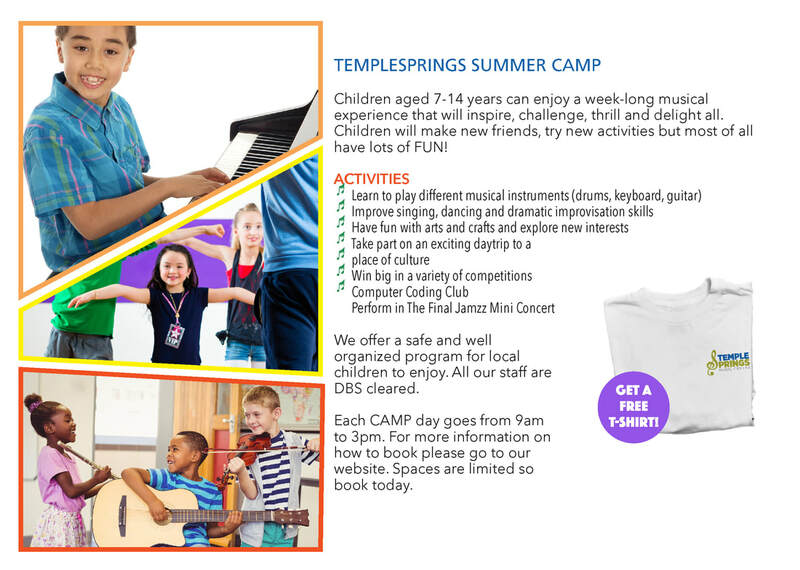 Templesprings Music CAMP is not only a great opportunity for working parents, it’s also a brilliant way for children to have a unique week filled with creativity and musical joy. 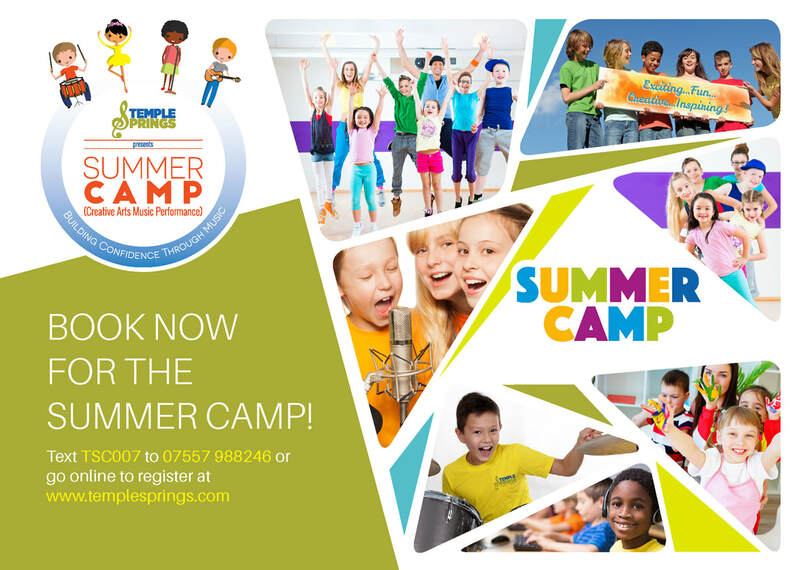 From learning to play different musical instruments to singing, from dancing, arts and crafts to dramatic improvisation, don't forget the final music Jamz - a performance extravaganza - Templesprings Summer CAMP has it all. ​​Step 3: Once we receive both the application form and the payment, we will confirm your space at the club.